The Supreme Court has directed the Law Ministry to apprise it about the status in considering the amendment in Code of Criminal Procedure at par with Section 339-B of the CrPC as applicable in Bangladesh providing for ‘ trial in absentia ’ of an accused who absents during the trial. 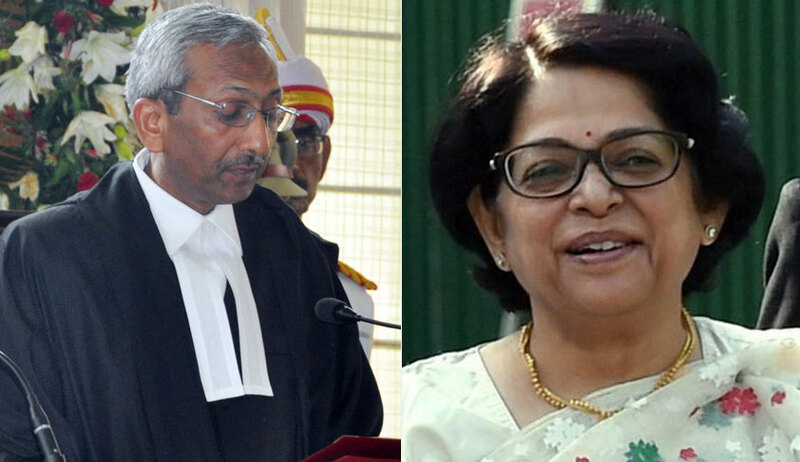 A bench of Justice AK Goel and Justice Indu Malhotra made this observation while considering a time extension application wherein the letter of the trial court stated that when the case was at the evidence stage, the accused absconded and it is the reason for the delay in the trial. “We have observed that criminal trials remain pending for long time because of one or more accused absconding,” the bench remarked. It then observed that in Hussain and Anr. v. Union of India, it was observed that an amendment be considered at par with Section 339-B of the CrPC as applicable in Bangladesh providing for trial in absentia of an accused who absents during the trial. “ Trial in absentia [339B. (1) Where after the compliance with the requirements of section 87 and section 88, the Court has reason to believe that an accused person has absconded or concealing himself so that he cannot be arrested and produced for trial and there is no immediate prospect of arresting him, the Court taking cognizance of the offence complained of shall, by order published in at least two national daily Bengali Newspapers having wide circulation], direct such person to appear before it within such period as may be specified in the order, and if such person fails to comply with such direction, he shall be tried in his absence. The court posted the matter to the 3rd July for consideration of this issue.